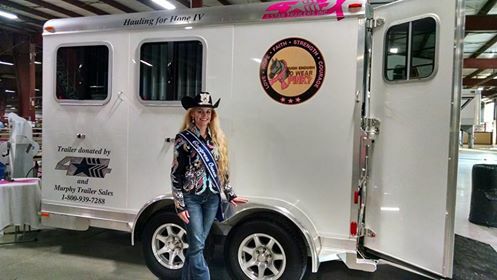 Thank You Carly Kidner – Quarter Horse Congress Queen for stopping by and visiting at the IBHA World Show in Cloverdale, Indiana. Can’t wait for you to come and visit us at the TETWP Horse Show Sept. 18-20, 2015. Also a big Pink Show Thank You to some great sponsors 4 Star Trailer and Murphy Trailer Sales. Headin’ to the Greene County Fair !